by BlenderNews.org on purpose until they pass their legal age to work, as was the case for this week's winner--who has been noted for fantastic character concepts. 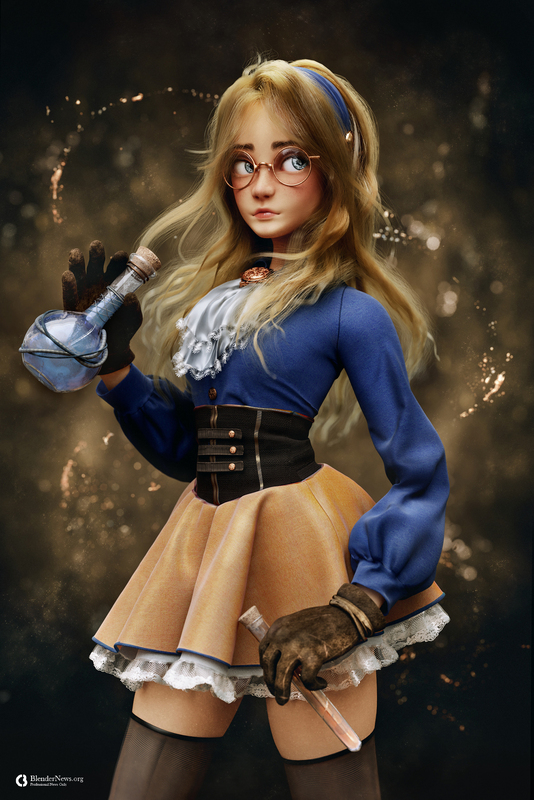 So, it is with great pleasure that www.BlenderNews.org introduces to you the winner of the Render of the Week Award for the week of March 25, 2019: Cheryl Chen. My name is Cheryl Chen. I’m currently studying in London, and I like making characters as a hobby. 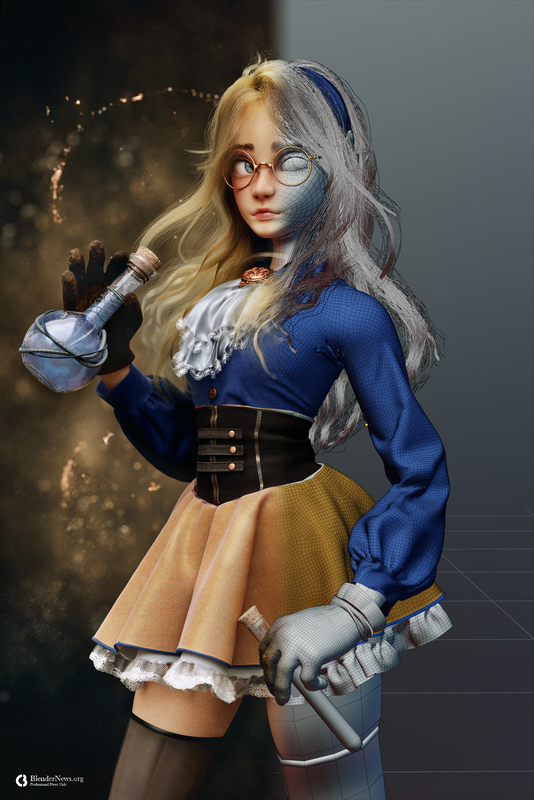 I really liked the costume designs of alchemist characters from various fantasy games and such, so I thought it would be fun to make a character based from those.